MOSCOW, October 6. /TASS/. Modern Russian weapons have demonstrated their reliability and efficiency in the Syria operation, Russia’s Defense Minister Sergei Shoigu said on Thursday. "Many modern domestic types of armaments have passed the test in the complex conditions of the desert terrain and have proved their reliability and efficiency as a whole," the defense minister said. The Russian Armed Forces have been accomplishing combat missions in Syria for already a year, Shoigu said. "Over this time, it has become possible to stabilize the situation in the country, liberate a considerable part of its territory from illegal armed formations of international terrorists and organize the work of the Russian Center for the Reconciliation of Warring Sides," the minister said. During the Syria operation, the Russian air task force delivered strikes against the places of militants’ amassment, engaged in the delivery of humanitarian cargoes to Syrian residents and also "dealt with other, no less important, tasks," the Russian defense minister said. "Practical experience has been gained in firing precision long-range weapons from surface ships and submarines from the Caspian and Mediterranean Seas. Aircraft of strategic aviation used for the first time air-launched missiles KH-101 with a range of up to 4,500 kilometers in real combat conditions," Shoigu said. Russia started its operation against militants in Syria on September 30, 2015 at the request of Syrian President Bashar Assad. 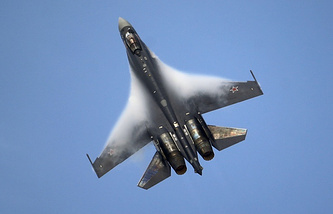 In particular, Russia used advanced Sukhoi Su-34 and Su-35 aircraft, as well as Kalibr cruise missiles. 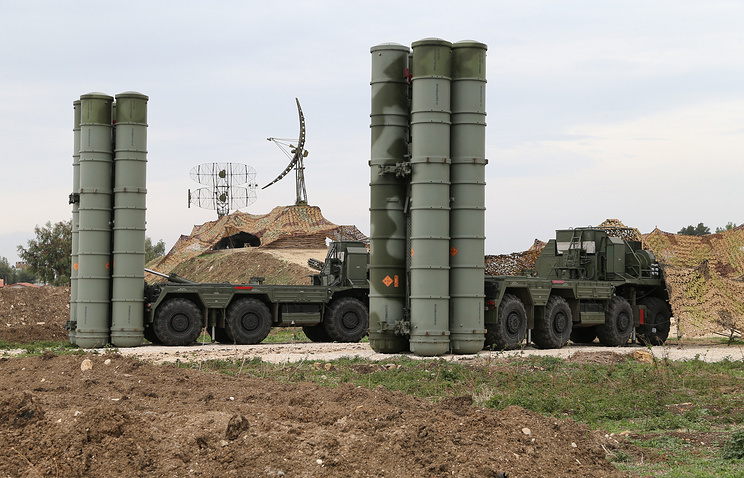 Russia also deployed its newest S-400 Triumf antiaircraft missile system in Syria. The experience gained during Russia’s operation in Syria should be taken into consideration when crafting new weapons and using military hardware, the minister said, adding that at present the Russian defense industry produced promising weapons that would be supplied to the military in the near term. The heads of defense companies and organizations are taking part in the conference as well as the ministry’s representatives who have used military hardware in combat. "During the conference we will listen to their opinions and discuss the issues concerning the use, maintenance and repair of our weaponry in Syria," the minister said. He pointed out that the military industrial complex would have to determine the measures on fine-tuning the newest weapons. "I hope the discussion will turn out to be productive and will allow us to hammer out effective decisions that would form the basis of our weapons development priorities," Shoygu added.